Sika deer are native to East Asia. 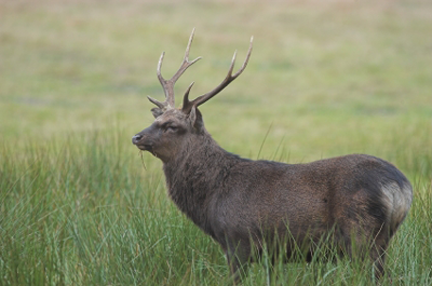 A mature Sika buck will typically have 2-4 points off of the main beam on each side. They range in weight from 100-180 lbs. Although they are a smaller deer species they make an impressive and unique trophy.